Summer has been slow. I don’t think any more groups have run it since our last meeting, though I know that Seattle is running our training this evening. Hooray! A lady in Germany is very interested in promoting our work. 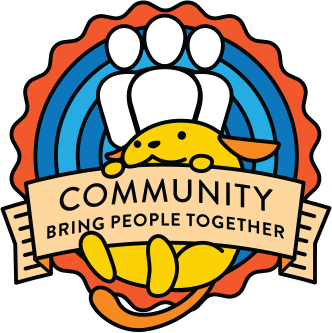 One of her questions for me is if anyone in our team attends WordCamps in Europe, particularly wordcamp nijmegen at start of september coming up. @sheilagomes and @simo70 have been our most active Europe members so far, so I’m pinging them. Though of course anyone in our group out in that area is welcome to respond. Thanks to @kelliwise for promoting our group — we’ve had an influx of new members. Status quo here. Main thing is prepping for WordCamp Montreal this weekend. Our group is being featured in my talk. I’ll be at WCLAX September 21-23 so will do outreach there as well. @jillbinder: Wonderful! They are a hub of Women of WordPress out that way, so we might be able to leverage that to getting some to participate in the WordPress community along those same lines further and/or run these trainings themselves. I will be attending the September WordPress Toronto meeting where I will talk attendees about our group. I will run the training for our group likely late September or early October. I submitted our Train the Trainers lesson plan last week to the #training team. They haven’t accepted the pull request yet. If folks want to see the current draft, let me know. I’ll be speaking at WC NYC Sept 15-16. Planning to do outreach there. I have been working on the HelpScout. Will have more time after the 15th. So, probably can do a bit more then. @jillbinder: I’d like to talk about running our next Train the Trainers for the Meetups. We have gotten through a lot of our queue of meetups waiting to be trained and now we’re down to only around 10. However, quite a few of those would like to run it this Fall, so I would like to see if we can get a training in in August. A reminder that our current version is mostly hitting play on a recording, but there is a bit of speaking before, during, and after. We have that all scripted out! The only “winging it” parts are the Q&A. But there you just answer what you can and let them know you’ll get back to them on anything you don’t know. If Larry or I are there, we can answer those ones. @lswanson: I could do one Sat. 8/25. +1 for co-facilitation – and for letting new folks lead with me or Jill as back-up. @jillbinder: @webrite That would be wonderful. We run them on Zoom, so you would be another “participant” on the Zoom call. In terms of actually running the workshop, once I confirm my WordCamps for October, I’ll figure out when I can run it that month in Ottawa. I can do the weekend of September 8th as well. @jillbinder: We leave up to 2 hours for it. The recording is 1h 20m, and there is time for talking before and after. It is a good timeframe, and also we will probably look at shortening it in the future. @tinat found someone to shorten our video (I’m guessing it would shave 5-10 min), which I’m looking forward to finding out how that is going. @jillbinder: I’ll be available to participate (and/or run) one of them. Looks like @lswanson will be able to do one as well. These all work for me except for Labour Day weekend. I’ll touch base with everyone else on their desired level of participation and work the trainings around that. @ncsumarit: I’m hoping to run one with my colleagues in the Raleigh Meet-up in the fall and spring. I’m available to help run one in the future but should at least co-facilitate or attend one before then. @jillbinder: Wonderful @ncsumarit! I forget if we have your info in our form yet so that we can follow up with you about this? http://tiny.cc/wpwomenspeak. Just to make sure we’re talking about the same thing, the ones that we are running right now are for training others in how to run it. Which is slightly different from just running it for a group. Though it would still be valuable to attend this if you wish. @jillbinder: So far I am calling them Training and Train the Trainers. Other titles welcome. @jillbinder: We will be using the calendar that @angelasjin set up for us last time to share with each other when the trainings are occurring. @webrite: Where do I find the calendar. @angelasjin: If you DM me your email address, I’ll add you to the calendar! Everyone who has access to the calendar should be able to add other folks to it as well. @jillbinder: Thanks all for helping to move us all forward. I’m looking forward to the Fall when Meetups are in action and we are helping them diversify their speakers.